Umpire Santa Visited the Tree Lot! Updated Sunday December 2, 2018 by Beth Jones. 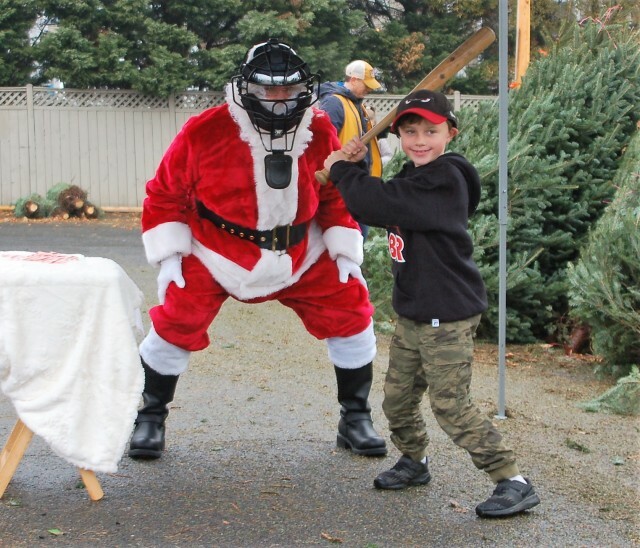 Umpire Santa made a stop at the Optimist tree lot this weekend to call some balls and strikes! Check out all the photos in the photo album link at the top of the page. Be sure to visit the Optimist tree lot for all your holiday greenery. The holiday shop is located on Glebe Road at Lee Highway behind the Wells Fargo Bank. More details are in the flier link below.